Marvel Studios and Kevin Feige have now confirmed that classic bad guys the Skrulls will be appearing in the Captain Marvel movie. Prepare yourself for much shape-shifting and imposter themed mayhem. Fans are already pondering which Marvel personalities they would like to see impersonated in the upcoming super hero movie. 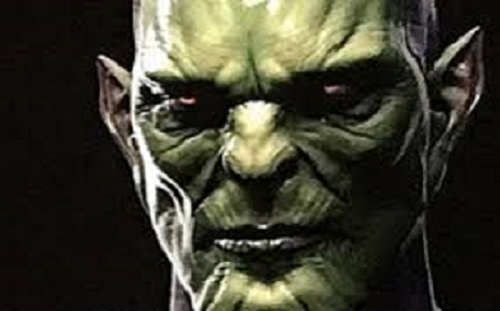 It was announced by Kevin Feige that the Captain Marvel movie will feature the million year old conflict involving the Kree and Skrull alien races. 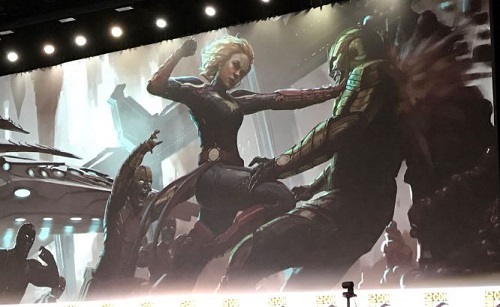 Captain Marvel aka Carol Danvers is of course part Kree, which is potentially an indication of where her loyalties will be. The Skrulls have reoccurred in Marvel legend ever since their debut in 1962. Concept art was revealed at San Diego Comic Con and in a new press release artist Jerad S. Marantz has teased the most detailed look of the aliens so far. Captain Marvel is scheduled for a release date of 2019.